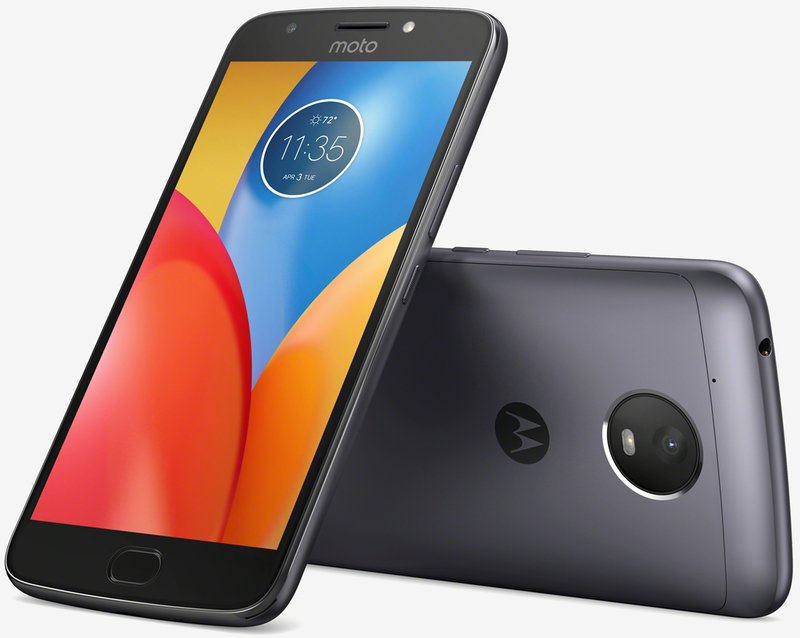 Motorola on Monday added a couple of new value-tier smartphones to its arsenal although given their features and specifications, you’d be forgiven for thinking they cost more than they actually do. The star of the show is without a doubt the new Moto E4 Plus. As rumored, it features a sizable 5.5-inch HD (1,280 x 720 resolution, 267 PPI) display encased in a metal chassis that’s driven by a Qualcomm Snapdragon 427 quad-core CPU clocked at 1.7GHz mated to 2GB of RAM and up to 32GB of local flash storage. The budget handset also features a 13-megapixel rear-facing camera with f/2.0 aperture lens and HDR, a 5-megapixel selfie cam up front, 802.11 a/b/g/n Wi-Fi, GPS, Bluetooth 4.1 LE and more. Most notable, however, is the massive removable 5,000mAh battery that Motorola claims can last up to two days on a single charge. The standard Moto E4, meanwhile, packs a 5-inch, 720p display with up to a Snapdragon 427 chip, 2GB of memory and up to 16GB of storage. It only has an 8-megapixel rear camera with f/2.2 aperture lens as well as a 5-megapixel front-facing shooter and basic connectivity options (802.11 a/b/g/n Wi-Fi, Bluetooth 4.1 LE, microUSB, etc.). The battery is significantly smaller at just 2,800mAh which Motorola says is good for “all-day” performance. Both phones will ship running Android 7.1 and feature a water-repellent nanocoating to protect against liquids. The Moto E4 Plus starts at $179.99 while the base-model Moto E4 can be yours for just $129.99. Look for them to arrive later this month.